You are welcome to return any stock items in new, store-bought condition. A copy of the original receipt MUST accompany returned item(s). Do NOT personalize, condition, wear, wash, or play in or with any item to be returned until you are certain the item is the right size, length, etc…If it isn’t right for you, we want to make it as easy as possible for you to return it or obtain the correct product(s). If you wish to exchange something for size, simply return it to the address on your packing slip and the requested size will be shipped as soon as possible. If you wish to return something for credit, also return the item(s) to the address on the packing slip and include a description for the reason of return. 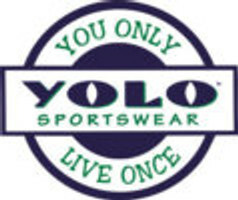 PLEASE NOTE–YOLO Sportswear is not responsible for shipping charges on returned merchandise or product sizing. If something is being returned for exchange of size or for credit, the customer is responsible for shipping and handling charges BOTH to and from YOLO for the replacement item(s). Personalized items are not eligible for exchange or return. YOLO does NOT accept C.O.D. packages. Absolutely NO returns or refunds after 30 days from original order date. THERE ARE NO RETURNS ON TEAM ORDERED ITEMS, NO EXCEPTIONS! THERE ARE NO RETURNS, EXCHANGES, OR REFUNDS FOR CUSTOM CWLOA ITEMS ORDERED!